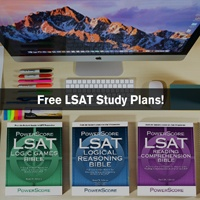 After underachieving on my September LSAT due to not very much preparation, I registered for the January test and purchased the PowerScore Logic Games and Logical Reasoning Bibles. Given my lack of prep the first time, my goal was simply a 160 (although I know I'm capable of more) and I scored a 157. In my limited practice up to that test, around a 157 was where I was practicing. 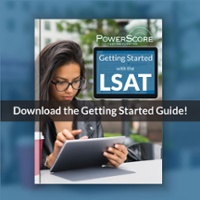 My main goal, and my goal for this upcoming LSAT which will be my last, is a 165. 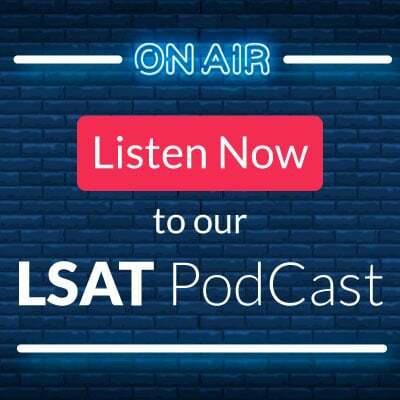 One of the schools I have applied to, the median LSAT is a 164 and the 75th percentile is a 165 (ABA 509 data), and an admissions representative from that law school has said getting above the 164 and into the 75th percentile is largely what earns students full-tuition scholarship consideration. The ABA 509 data backs this up. My prep following going through the Bibles has been leaps and bounds better than that before my September LSAT. Having done about 10 timed, 4 section prep-tests, I initially began scoring between a 162 and 164. My tests this past weekend saw a jump. On those three, I reached a 167, 169 and 164. Considering that the 167 and 169 are largely outliers, I have largely found myself unable to close the 1 or 2 question gap in getting to a 165. For example, I often find myself limiting answer choices on the Logical Reasoning section to 2 contenders but choosing the wrong one. One of my tests I had done this on 6 or 7 questions and chose the wrong answer. Also, my performance in questions 20-25/26 of LR tends to be poor, even though I sometimes miss one or none in the first 20 and have about 10 minutes to work those last 5 or 6 questions. As for analytical reasoning, it is sometimes difficult for me to get over the anxiety hump in trying to establish a good setup for the first puzzle or two and it costs me time/answers, and sometimes I have incorrect layouts in my setups as a result. I am obviously so close to breaking through but have been unable to do so, largely for those reasons. I have only one practice test that I have not taken left, as I really could not afford to buy a bunch of prep books. Given I only have a few days left and one untaken test, are there any ways I can feel more comfortable in closing the 1/2 question gap? Or any general advice on how I can finally break through and score as I know I'm capable of? Thanks. It sounds like you've made some great progress! Let's focus on the positives first. If you are narrowing it down to two in LR, even if you are picking the wrong one, you are successfully eliminating three of the four wrong answers. It's just that last pesky answer. For those few you are still missing, there are two possibilities. 1) You are able to get them down to two choices, pick the wrong one, but you don't realize you've made a mistake. 2) You get down to two choices, and are guessing between the two answers left, not confident about either one. Part of the solution is the same no matter which case it is for you. The first step is always a strong prephrase. That will help you avoid getting caught by trap answers in scenario 1, and will help you know actively what to look for in scenario 2. Prephrasing is often the key to both timing AND accuracy issues, and I can't stress enough how, especially on the margins, it can help you pick up some points. Everyone can improve on prephrasing. Everyone. It's one of those steps that is easy to overlook as you improve on the test, even though it's still extremely necessary. So, once you've gotten your prephrasing down, you still might feel stuck between a two answer choices sometimes. First, it's sometimes the right decision to take your best guess between the two left, and save it for the end of the section. It's worth spending the time though if you think you have a path to deciding between the two options. Is there a test that you can use, like the Assumption Negation Technique? Can you reread the stimulus or conclusion to help you focus on the relevant issues? The method of deciding between two answer choices will be dependent on the stimulus and the question type. From what you are describing, it sounds like you have the time to really dig into the last several questions in LR. So don't allow yourself to rush! 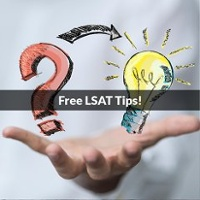 Spend the time you need to work through the questions correctly without rushing. Often there's subtle pressure by the end of a section to cut corners or rush so that you can get to everything. Don't fall for this---keep doing what you do for the first 20 questions on the last 5-6. Let's talk about the games. Anxiety is normal! It's such an unusual section and it can feel so tempting to want to jump right into the questions. The set ups don't directly earn points, so it's really hard to motivate yourself to spend the time you need to do it right. That's where you need to figure out how to train your brain. A good set up is the difference between a great games score, and a disastrous score. Spending the time you need to set it up properly will help you avoid mistaken inferences, see the logical jumps you need to see to quickly eliminate wrong answers, and help you understand how the game should be done. It's like prephrasing---there aren't points for doing it well, but it's critical to doing what you need to do to score points. So where do you go from here? First, take that test soon! I almost always recommend students take their final PT no later than three days before the test. 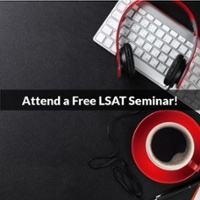 The day before the test I recommend complete LSAT rest. Two days before can be your test review day. That puts your final PT three days before test day. Get your mind focused on where it needs to be (I recommend this link to learn more about how to get your mind where it needs to be on test day. Rachael - Thank you so much for the response, very informative. Quick question: if I get a LR down to two contenders and see that one of them is similar to my prephrase, are you suggesting that I should typically err on the side of my prephrase when deciding between two final contenders (given that there's no detectable shell game answer or flaw such as a reversal)? Thank you for the link to the Mentality Guide; looks very useful! Largely think that's what my performance will come down to on Saturday. I will be sure to review those tests such as the Assumption Negation and other key concepts in my LR and LG Bibles in this final stretch. Thanks once again, PowerScore has been a huge help in my self-prep! I certainly don't want to try to interpret another instructor's response, but since I would have given you a similar response, what I would say is that yes, pre-phrasing is key, IF you are using the correct logical methods to arrive at your pre-phrase. Since you seem to have done the type of prep that would help your pre-phrase with more accuracy, at this point if one of your narrowed down answer choices matches your pre-phrase, then yes, that is the one that I would be more likely to choose. Great job with your scores!